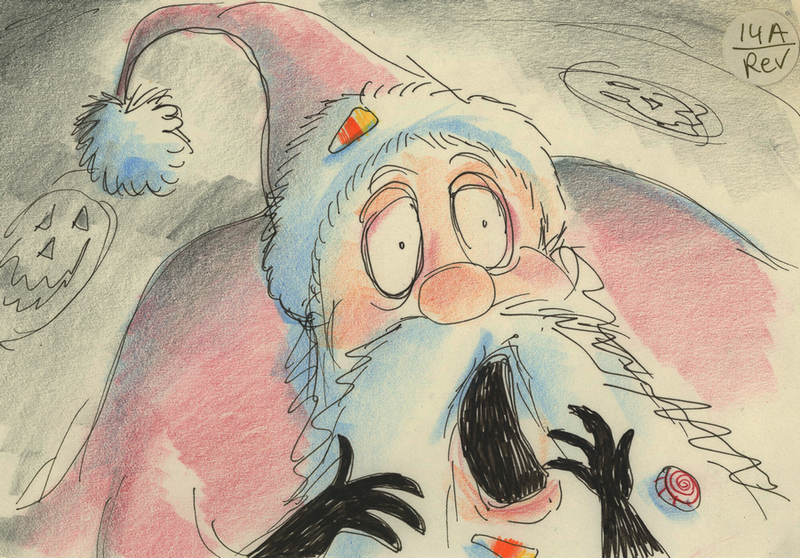 This is an original storyboard drawing from the Walt Disney Studios production of The Nightmare Before Christmas (1993). 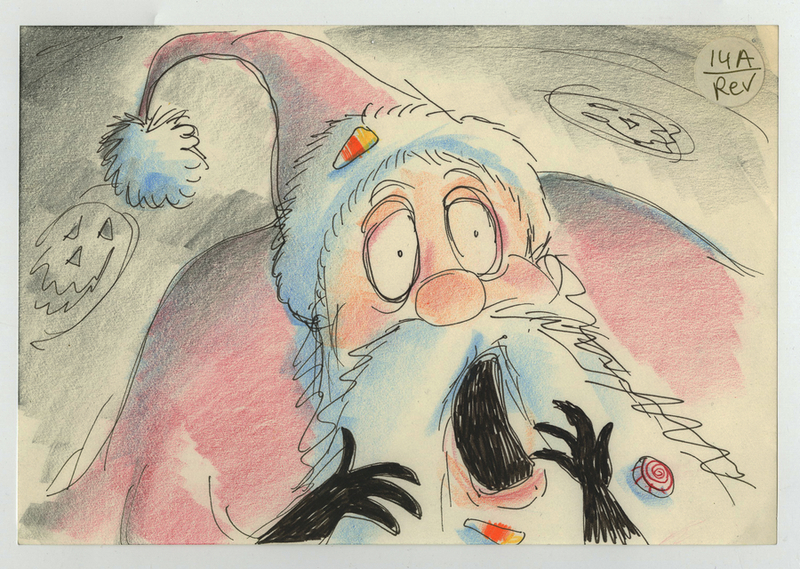 This hand-drawn storyboard features Santa Claus and was created at the studio and used during the development of the stop-motion film. The overall measurements of the piece are 5.5" x 8" and the image is accomplished in colored pencil and ink on paper and takes up the entirety of the sheet. The drawing is in very good condition with pinholes along the top edge from production use.